Mine was such a blessing. I was exhausted from working everyday prior but my mother and father were here. I was with my wonderful fiance in our lovely home and I was able to spend the a.m. cooking for them. 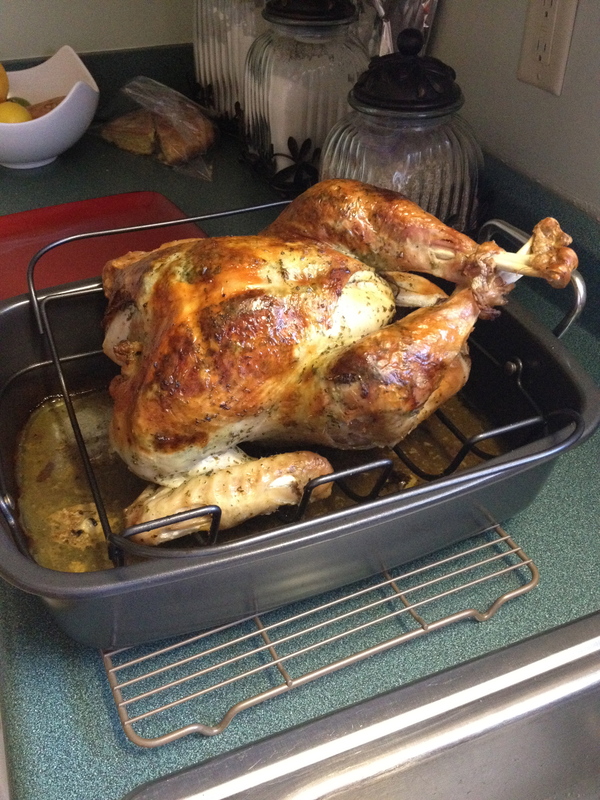 Extremely tasty and moist turkey. I also made their pumpkin pie recipe. It called for candied yams (which I didn’t have) so I used a sweet potato instead. 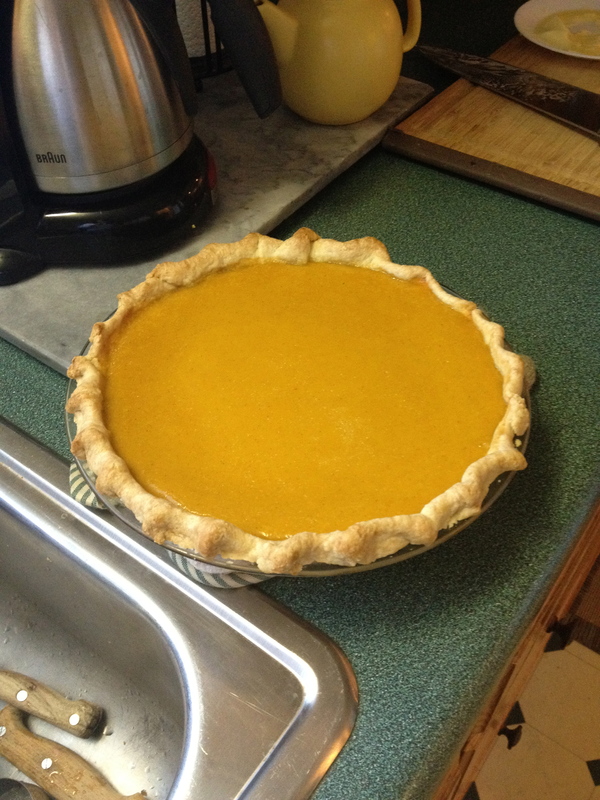 It was truly one of the best pumpkin pies I’ve ever tasted. Mom bought me an immersion blender for my birthday so I made the whipped cream with it. Love that new gadget! Those people at Cook’s Illustrated seriously know what they are doing over there. If you buy no other cook book, buy that one. Moving to Kentucky has messed up my routines. It didn’t feel like Thanksgiving since I wasn’t in Republic. I loved every moment of it since I was able to cook with Mom. Saturday night D took me out for a date to Louisville. When we were coming home, our neighbors has put up their Christmas lights. It took my by total surprise. Guess I’ll get my Christmas tree up this week. How exciting! I hope my four readers had a blessed Thanksgiving. I am thankful for your encouragement and support.